Cap Creations: Need a daily reminder close at hand? Need a daily reminder close at hand? 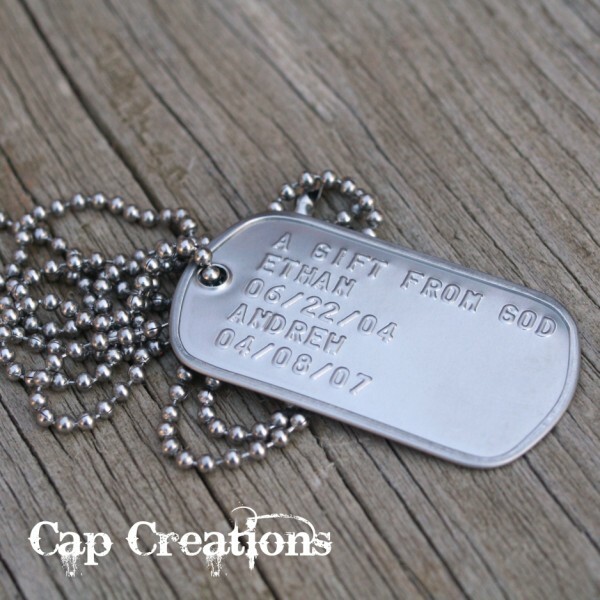 How about a Custom Embossed Dog Tag? 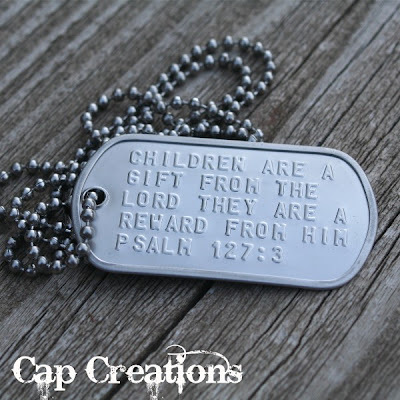 These are perfect for men and children but ladies love them too! Personalize up to 5 lines with 15 characters each. Say a lot! Wear it, hang it on your review mirror, keep it close for a daily reminder of anything you believe! • Help instill morals and values. This one below is for a first time parent to be! What would your Custom Tag say?